We have been in our little country home for 6 years now. And had grand plans, as you do when you buy a new home. Over the last 6 years we have spent a small fortune on jobs we never expected. Including a new drive, boiler, gas tank the list is endless. But we are finally getting somewhere. There seems to be a light at the end of the tunnel. From the minute we walked into our home, and fell head over heels in love with it. 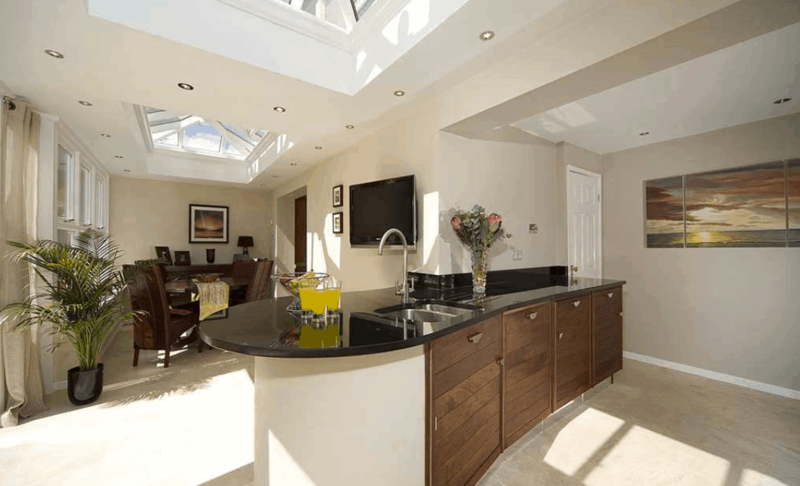 We knew it needed an orangery to get it exactly how we wanted it. And this is something I am still coveting. But I know that a new kitchen has to come with it, as the whole shape and style of our current kitchen will need to change to accommodate my swanky new orangery, complete with log burning stove. The Christie boys have grand plans of a pool table, but not a chance is a pool table gracing my new space, when it eventually arrives it will be a beautiful chilled out space an extended part of our kitchen, somewhere to chill by the fire read magazines and a cool dining area with no sky sports! Many years ago orangeries used to be considered cold rooms, and were saved for the summer months. But with the addition of under floor heating, insulated glass and wood burning stoves designed just for such rooms. 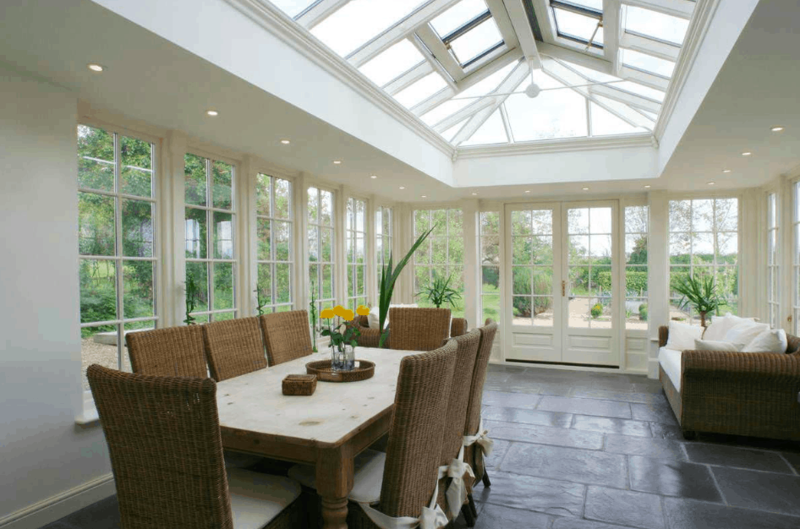 Orangeries and conservatories are now the perfect way of adding extra space and value to your home without compromising on warmth. And can be used to…. 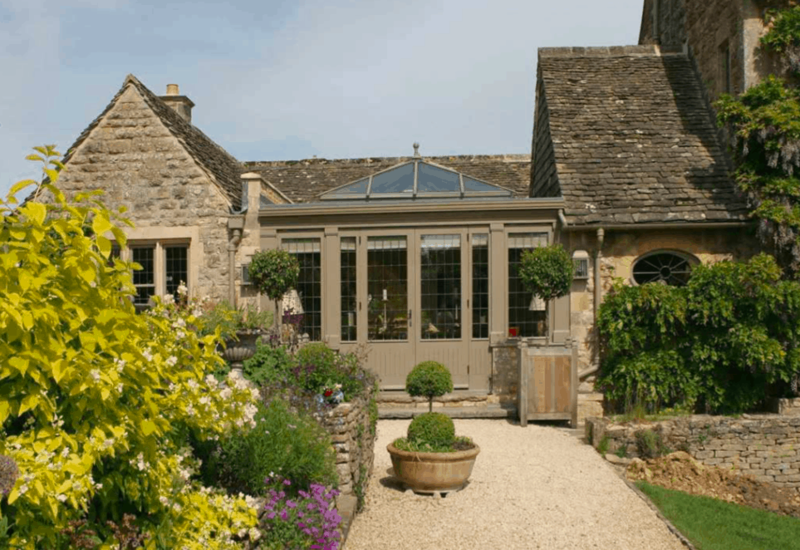 Orangeries are a great way of extending your home. And with changes in planning laws they are so much easier to plan than in previous years. Adding a much-needed extra room for a growing family can be costly and have many planning boundaries. You also have to consider things such as maintaining as much light as possible. This is the perfect way to add a room that will guarantee lots of light, yet with insulated glass and under floor heating also create a warm living space. 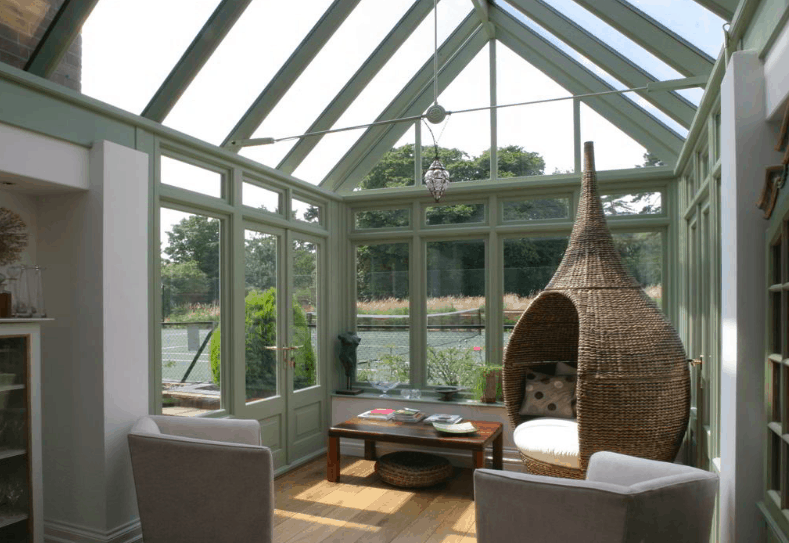 A conservatory or orangery is a great way to extend a room and something we have done in the past. A long on awkward shaped kitchen can be transformed into a huge open living kitchen. We found working with your designer and discussing all the options including removing the odd wall can create a rather large and beautiful living, family kitchen. Many homes have awkward recesses, that at the time of design may have seemed a great idea. But now prove to be a waste of much-needed living space for the modern family. Filling the space can create a perfect snug, dining area or reading nook. There are many ways to extend a home make it fit your family’s needs, without making that dreading decision to move. It can also be the more economical option when you factor in moving costs, stamp duty and re-decoration of a new home.